Nowadays, “web developers” are popping up everywhere. Everyone has a friend or a cousin who builds websites. Be wary of someone who says they “build websites” when all they’re actually doing is using a site like Wix, Squarespace, or Weebly. We know those tools make it easy to get a website up and running, but they’re not the best option for you or your business in the long-run. There are certain questions to ask a web developer to make sure they really know what they’re doing. You want to hire an actual web developer to build you a website, preferably using WordPress or Joomla. This ensures that you own all of your code and content, and can change or move your website whenever you need to. You don’t own the code on Wix, Squarespace, Weebly, etc., which means that if you need to move your website from their platforms, or upgrade your site, you’ll have to start all over. Web Developer – A programmer who specializes in the development of website and applications for the World Wide Web. Notice that the definition of web developer specifically includes “programmer”. Programmers know how to code, using HTML, CSS, Java, etc. If someone tells you that they’re a web developer but they don’t do any coding, then they don’t know what they’re talking about. That’s just one example of something to ask a potential web developer before hiring them to build you a website. At minimum, and simply put, they should know and use HTML, CSS, Java and Ajax. What platforms do you build on? The best answers here are WordPress, Joomla, or custom code. We typically wouldn’t suggest hiring someone or a company who wants to build you a full custom site. It sounds nice, but that means you’ll never be able to change or edit anything yourself because everything is “hard coded” in. You’d have to pay a high-end hourly rate to simply change your hours of operation on your own website! You also don’t want a site on Wix or Squarespace. As we mentioned earlier, you won’t own any of the code. You want a site that you fully own, is upgradeable, and portable, but allows you to make your own content changes (within reason). What are your design skills? 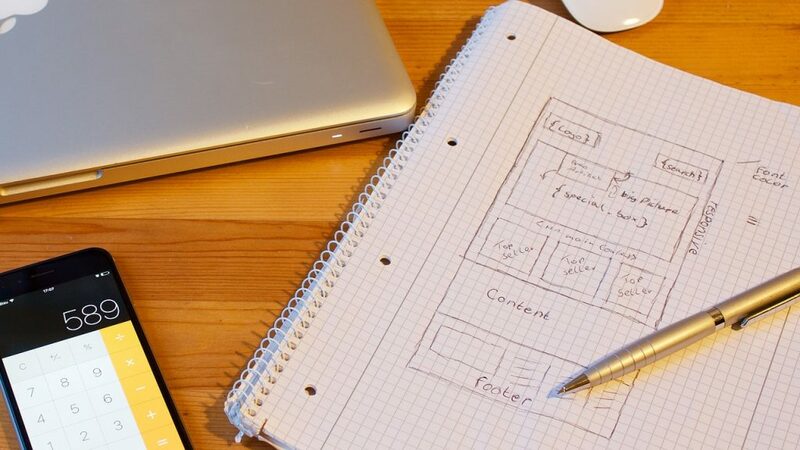 Your developer should not only be able to build you a site, but they need to be able to design it as well. Unless you know exactly what you want every page of your website to look like, that person needs to have the design sense to lay the pages out for you. A good web designer should be able to use Adobe Photoshop at the very least, and Adobe Illustrator for the more advanced. You can get a good idea of how someone designs by looking at what they’ve already done. Take some time to click through the sites they have built and make sure you like the usability, the layout, and how it looks on mobile. Most likely, you’ll end up with a site with a similar quality level, navigation, and layout. What’s your experience and knowledge of SEO? Even if they aren’t an expert in SEO, they at least need to be able to set the foundation for implementing an SEO strategy in the future. This includes things like installing an SEO tool like Yoast, installing Google Analytics, and helping you set up your Google My Business and Search Console accounts. Not super familiar with SEO yourself? Read our beginners guide. What do you recommend for website hosting? An experienced web developer should be able to help you move/publish your site on a secure and reliable host. There are TONS of hosting platforms out there, but one we currently recommend staying away from is GoDaddy. They utilize a shared server which is currently under major scrutiny, and vulnerable to attack – it’s just not very secure. Host Gator and Liquid Web are great options, and if you were to hire UCSA to build and host your site, we use our own virtual private server (VPS) that guarantees 99.8% uptime. Look for some sort of guarantee wherever you host! Your web developer should guarantee that your site will be responsive across all popular combinations of devices and browsers, especially mobile. Will you train me to make changes to my website? While you won’t want to be making major changes to your site, your web developer should train you to add content within pages, update copy, and add blogs. At the end of the day, you need to trust your web developer to do what’s best for you in the long-run. You want to hire a web developer who wants you to be successful.